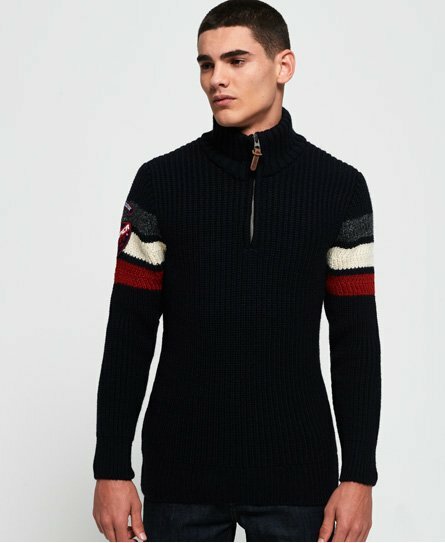 Superdry men’s Ski Dog Henley jumper. Keep warm in this classic knitted jumper, featuring a high neckline with a zip fastening and a stripe design around the sleeves and across the back. This jumper is finished with two logo badges on the sleeve. Wear with slim jeans and Chelsea boots for stylish look that you can wear anywhere.